Dr. Zongmin Ma is currently a full professor of Computer Science and Engineering in the College of Information Science and Engineering at Northeastern University, China. 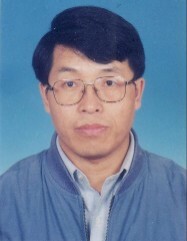 He received his Ph.D. degree in 2001 from the City University of Hong Kong. His research interests include fuzzy sets and intelligent database modeling, knowledge management, intelligent information processing in databases, intelligent systems, semantic Web and Ontology, life science data management, and content-based image retrieval. He has published over 50 research papers in refereed international journals and conference proceedings, and has authored/edited nine books. He is currently serving on the Editorial Boards of the International Journal of Metadata, the Semantics and Ontologies, International Journal of Services and Standards, and the Journal of Digital Information Management. He has also served on the program committees of several international conferences. He has been a track/session (co-)chair of several international conferences. Dr. Ma is a member of the IEEE.